You can learn more about the editors and the contributors here. The debate about biological origins continues to be hotly contested within the Christian church. Prominent organizations such as Biologos (USA) and Faraday Institute (UK) insist that Christians must yield to an unassailable scientific consensus in favor of contemporary evolutionary theory and modify traditional biblical ideas about the creation of life accordingly. They promote a view known as “theistic evolution” or “evolutionary creation.” They argue that God used—albeit in an undetectable way—evolutionary mechanisms to produce all forms of life. This book contests this proposal. 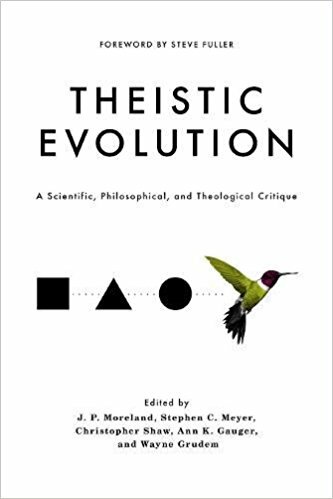 Featuring two dozen highly credentialed scientists, philosophers, and theologians from Europe and North America, this volume provides the most comprehensive critique of theistic evolution yet produced. It documents evidential, logical, and theological problems with theistic evolution, opening the door to scientific and theological alternatives—making the book essential reading for understanding this worldview-shaping issue. An free online excerpt can be found here. You can hear more about the book here. Evolution News explains why you should consider reading the book here. J.P. Moreland discusses the book here. Common Objection #7- "Intelligent Design advocates do not publish their work in the appropriate scientific literature."